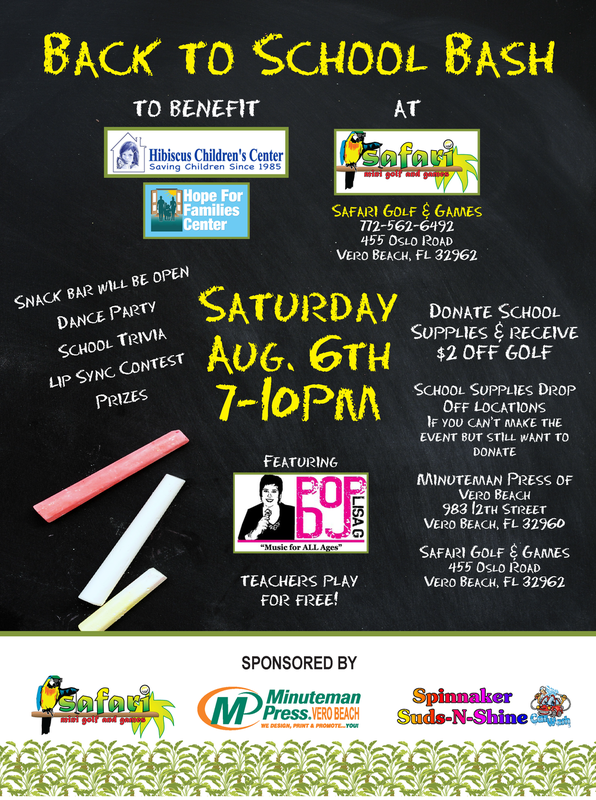 Join us on August 6th for some back to school fun. We'll be dancing, playing trivia, and offering prizes to benefit the Hibiscus Children's Center and the Hope for Families Center. Donate school supplies and receive $2 off a round of golf. Sweet tunes provided by DJ Lisa G.
Sponsored by our friends at Minuteman Press and Spinnaker Suds-n-Shine.